The most notable regulatory development last week was the Environmental Protection Agency’s (EPA) announcement that it has officially reconsidered the fuel efficiency standards for model year 2022-2025 cars established under the Obama Administration. The announcement merely begins the process; the revised EPA rule on this topic is still forthcoming. Beyond that, there were only a handful of rulemakings – focusing on airplanes and mango promotion – that had any quantified cost estimates. Between both proposed and final rules, agencies published roughly $42 million in net costs and 167 hours of additional paperwork. The per capita regulatory burden for 2018 is negative $5.98. According to AAF analysis, since the start of FY 2018 (beginning Oct. 1, 2017), executive agencies have promulgated 28 deregulatory actions with quantified cost savings against five regulatory measures that impose costs, under the rubric created by EO 13,771 and the administration’s subsequent guidance document on the matter. These rules combine for a net annual savings of roughly $719.5 million. This means that agencies have thus far surpassed the administration’s cumulative goal for FY 2018 of $687 million in net annual savings. Click here to view AAF’s examination of the administration’s progress under the “one-in, two-out” executive order through the end of Fiscal Year 2017. Based on total lifetime costs of the regulations, the Affordable Care Act has imposed costs of $53 billion in final state and private-sector burdens and 176.9 million annual paperwork hours. Since passage, the Dodd-Frank financial reform legislation has produced more than 82.9 million final paperwork burden hours and imposed $38.9 billion in direct compliance costs. Since January 1, the federal government has published $5 billion in net costs savings ($2 billion from final rules) and new paperwork burdens amounting to 1.4 million hours (however, this includes 877,122 hours cut under final rules). Click here for the latest Reg Rodeo findings. 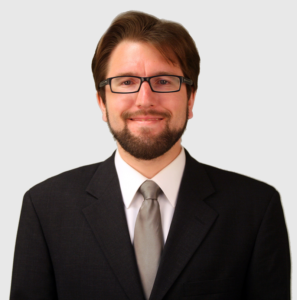 Dan Goldbeck is a senior research analyst for regulatory policy at the American Action Forum.